The club was founded as Trelai Park Wanderers in 2004 and began life in the bottom tier of the Lazarou League. Initially a group of friends, the club progressed over the following two seasons, becoming in 2006 San Marino Stars. Between 2006 and 2010 the club operated as San Marino Stars, recording back to back promotions in 2006/7 and 2007/8, playing home games at Morganstown Field. During this time the club also made an appearance in a divisional cup final and also won the Lazarou Fair Play Award. For the 2010 season San Marino Stars bacame Heath Park Wanderers, and for the first season kept Morgantsown as our home. During this final season at Morganstown, we had an influx of locally based players. However were forced to move for the next season, due to the poor facilities and pitch at Morganstown. The club has held a steady place in the Lazarou First Division for the past three seasons. 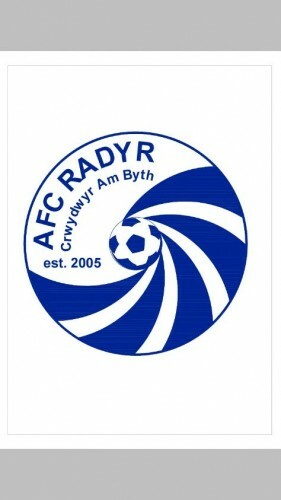 For the start of the 2013/14 season we will become AFC Radyr and play our home games at Radyr Comprehensive School, we are hoping to have new kits revealed over the coming weeks. We have already started some basic pre-season training, but will be holding some open training sessions prior to the start of the season, where we are hoping to attract some new local players. Players must be over 16. Details of sessions, as well as all our confirmed pre-season friendlies are below. All potential players are welcome, and we invite local residents to the pre-season games. All fixtures to be played at Radyr High School, we look forward to seeing you there!